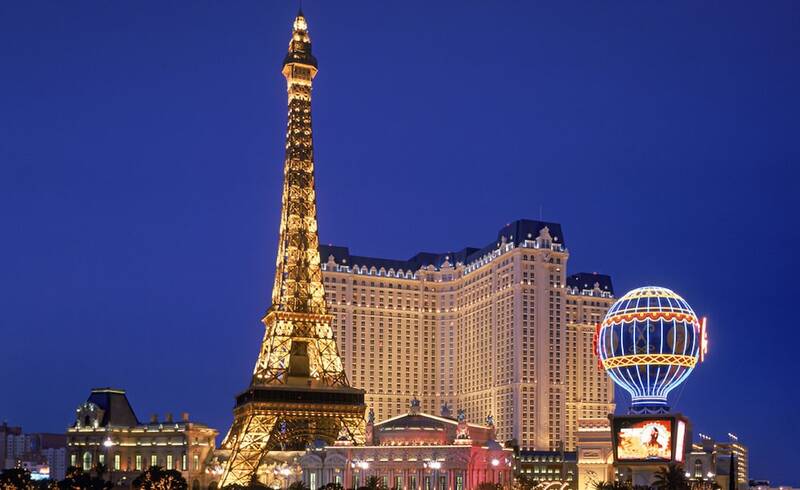 Paris Las Vegas Resort & Casino is conveniently located within walking distance of attractions like Fountains of Bellagio, Bellagio Casino, Miracle Mall Shops and The Cosmopolitan Casino. This hotel not only is renowned for its luxurious surroundings but also for the exclusive access to facilities provided by hotel casinos affiliates. The rooms offer ample space and with a French décor style. Each room features amenities like a king-sized bed, extra bed according to availability, TV with access to various entertainment channels, minibar with drinks and snacks and an ensuite bathroom with various personal hygiene items. Some rooms have additional space and a living room, additional entertainment options like a games console or windows with a city vista. The hotel offers a variety of leisure facilities for its customers such as a casino where besides experiencing various modes of gambling, you can also enjoy shows singers like the Jersey Boys and comedians like Anthony Cools, one of the best known in Las Vegas. The front desk is open 24 hours a day and you can check for availability of tickets to the major entertainment centres of Las Vegas.